Adroit Operations | Adroit & Associates - Improve performance by visualising operations and behaviours. We offer a range of Tools & Services that enable organisations to innovate and change. We adapt them to fit their chosen marketplace and drive adoption from launch through to exit. 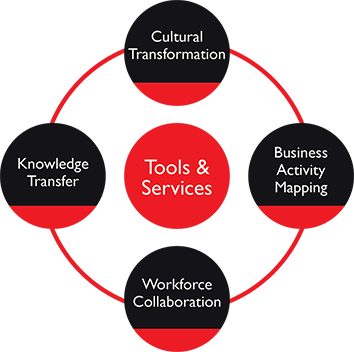 With accredited CTT (Cultural Transformation Tools) consultants, Adroit & Associates can help you gather the necessary data that whether the organisational climate your workforce experience is motivating them to give of their best, and what might be needed to change and encourage them to give more. Adroit & Associates has a broad experience from configuring Intranet to developing full blown database style applications that are integrated with 3rd party applications. During the years of working with clients we have evolved an approach that reduces risk, builds trust and facilitates the cost effective roll out of SharePoint within organisations.